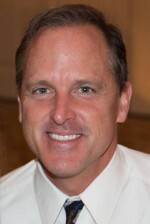 "I wanted to take a few minutes to let you know how pleased we are with Rick Drumm. We meet with Rick this past weekend and he has been courteous, understanding, knowledgeable and truly cares about our needs as a family. These are often hard to find, and he has been there to answer all our questions and periodically "talk us off the ledge" as needed. Frankly, at this point we consider Rick a friend of our family"
By working with me, I will provide you with a one-year American Homeshield Home Warranty at closing that will provide you peace of mind. I offer my service, professionalism, and experience to you, and will make sure you are pleased and satisfied with your transaction. I've been a Realtor on the Outer Banks for over 23 years, consistently in the top 5%, usually ranking in the top 25 out of over 900 agents in sales volume. In addition to being a top sales person, I have served as Marketing Director, Sales Manager, and Broker-in-Charge for two different real estate companies. 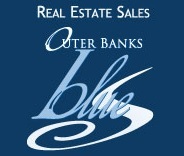 Not only do I sell real estate on the Outer Banks, I have owned six investment properties over the years. I have gained first-hand experience with nearly every possible issue related to home maintenance, repairs, and rentals, including long term and vacation rentals. So, when you come to me for advice, you can rest assured I have probably experienced the same thing at some point! • Statistically, with over 23 years of selling experience, consistently finishing in the top 25 of all agents on the Outer Banks, and having worked over 200 transactions; you would be in very capable hands every step of the way as I guide you from beginning to end of the transaction. • I have training in Short Sales and Bank Foreclosures so that if this is the type of property you are seeking I am fully capable of helping you make the best decisions and understanding the process. • My Accounting degree can assist you in the investment analysis of each property if you are looking at purchase from an investment standpoint. • Once I have your search criteria, you will receive email updates the minute a property that matches your interests comes on the market. You will never miss an opportunity. • I am very familiar with all the communities between Corolla and Nags Head, Roanoke Island and Hatteras Island and can guide you to selecting the perfect area based on your needs.